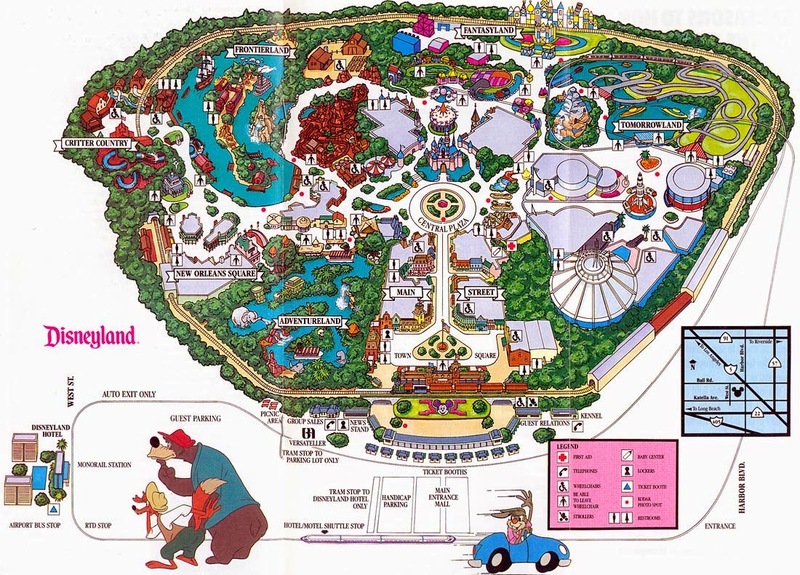 We all know how much Disneyland has changed over time. 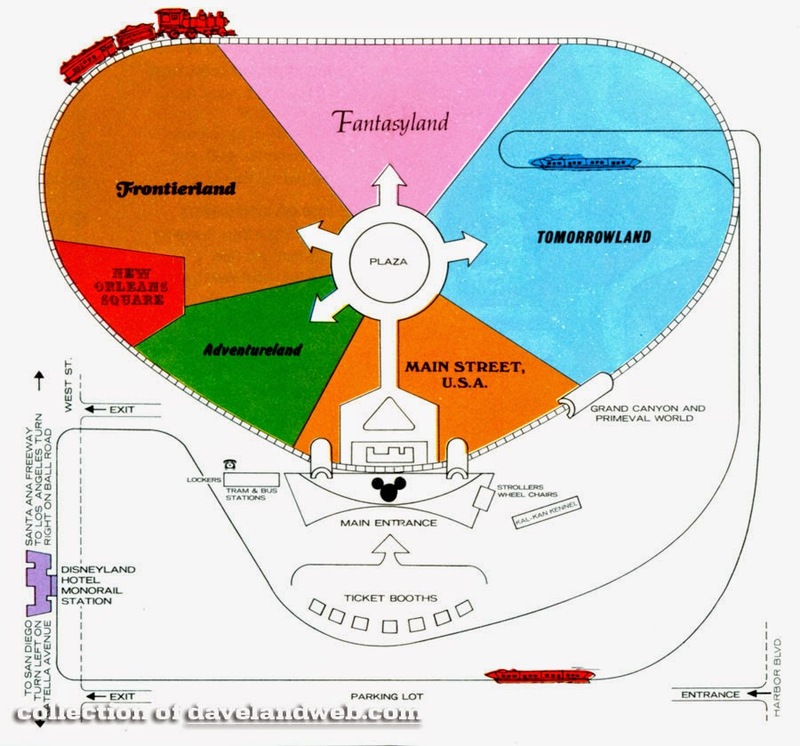 Wouldn't it be great to see those changes in size, amount of rides, and even the way Disneyland presents itself on paper through the years? We found some awesome websites (www.themeparkbrochures.net and www.davelandweb.com) that gave us just that! 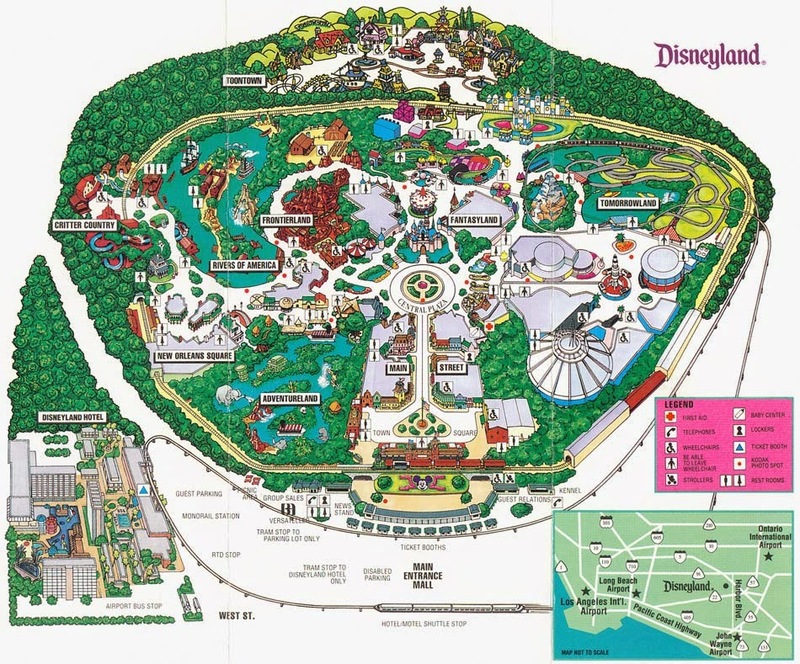 Check out the pictures below to see Disneyland Park (not California Adventure, sorry) from 1964, 1970, 1980, 1989, 1994, and 2004! 1964: This map is incredibly simplistic and barely even in color! 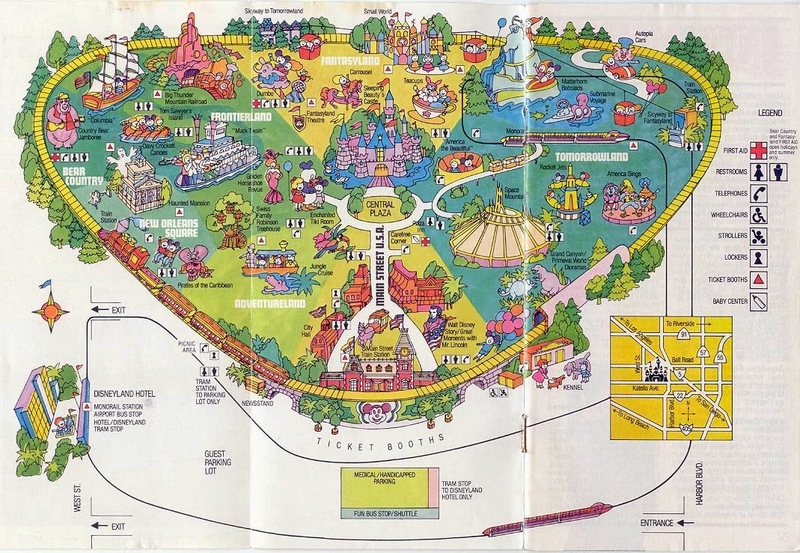 There were so few rides they could easily list each one around the map. 1980: This is starting to look a little more like what we're used to, right? We have bright colors, ride images, and other information useful for someone trying to navigate the park. 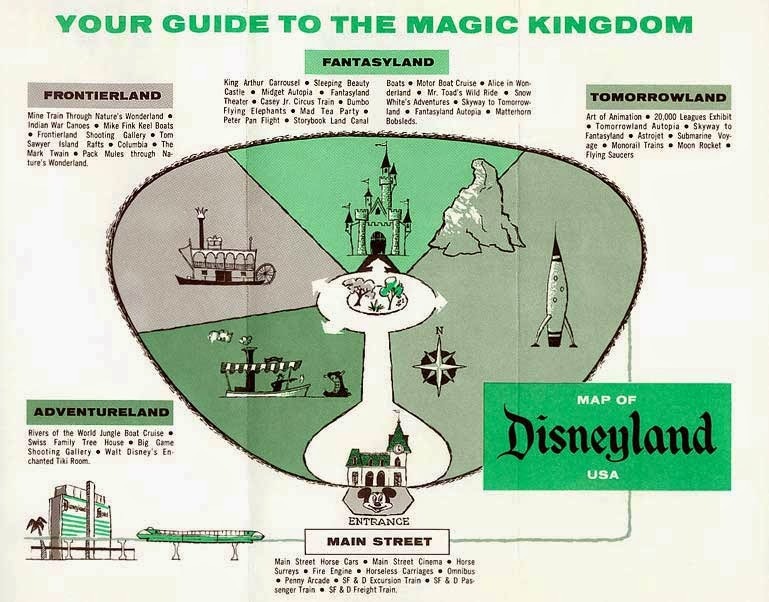 Could this be because Disneyland was creating their own maps instead of having a sponsorship? Could it be a push toward better branding of Disney itself? Could it be for the 25th anniversary they were having that year? 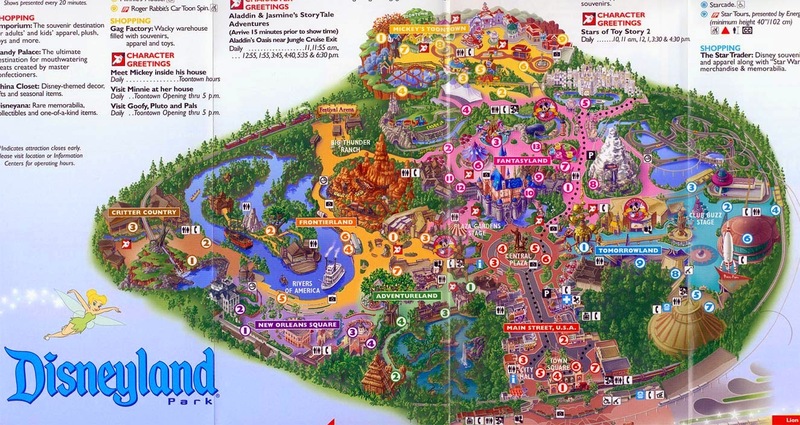 I'm not totally sure, but I'd much rather try to get from the Jungle Cruise to the Autopia with this map than the last few! 1989: This seems pretty similar to 1980. I love the addition of the Song of the South characters to go along with the opening of Splash Mountain that year, but the blank rooftops on the rides are just bizarre! 1994: So much greenery! Some designer was really into the berm. And the dumb rooftops are still there. Maybe all the green trees counteract the gray roofs? It feels good to judge while in my jammies, 25 years in the future. 2004: Hello Disney branding we know and love! Color coded by land, beautiful images of the rides. This is a souvenir map! I was going to include a map from just the last year or two, but there isn't too much of a change in the way they're stylized in the last decade.